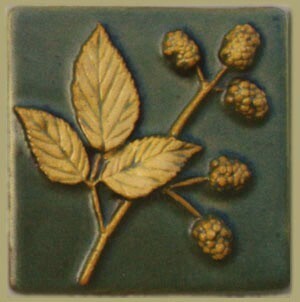 These lovely nature inspired tiles are made by Weaver Tile of Horton, Michigan. Available framed or unframed from Dard Hunter Studios. Tile measures 4" x 4".